Last Sunday, the Orthodox Church celebrated the feast of All Saints. This Sunday, each local Church remembers and celebrates the saints who figured prominently in its land. Here is an icon of the Orthodox saints from America. 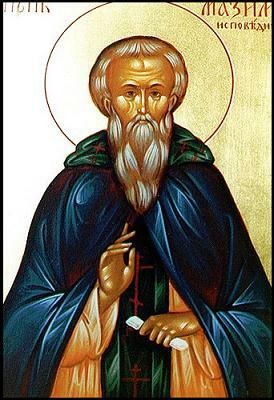 Juvenaly of Alaska, Valaam monk and missionary to Alaska, martyred in Alaska. I hope that you had a fine All Saints’ Day. 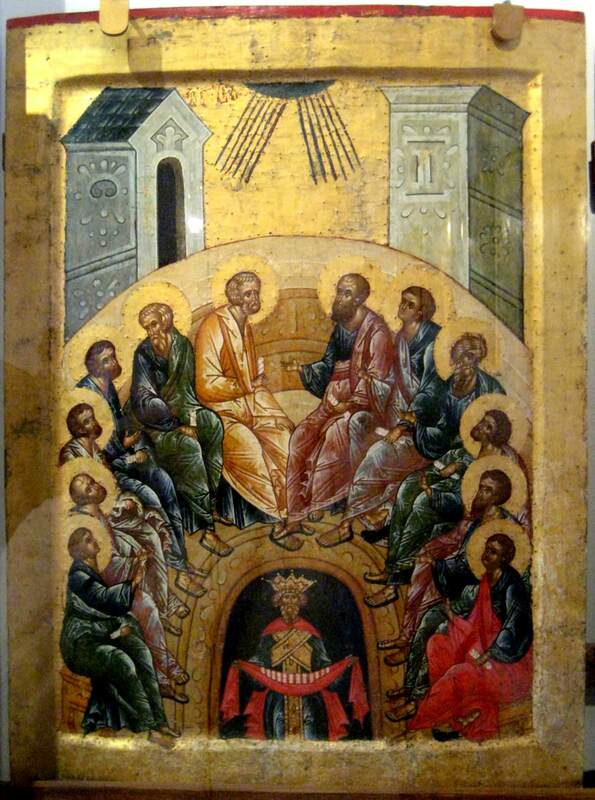 Unlike the Western tradition in which the feast of All Saints falls in the autumn, the Eastern tradition places the feast of All Saints on the Sunday following Pentecost. As the priest said today, Pentecost is the feast of the planting and All Saints’ Day is the feast of the harvest. Next Sunday—the second Sunday after Pentecost—is another feast of all saints, but rather with an emphasis on local saints. Thus, in Serbia, it is a commemoration of all the Serbian saints, while in Greece, it is a commemoration of all the Greek saints. These “local” saints do not have to originate in the land where they are celebrated. In the case of the initial missionaries—the “apostles” to the land who first brought and spread the gospel, they are almost always foreigners, as Patrick was from Roman Britannia, but the Irish claim him as their own. Nina was from Cappadocia, but she is known as the apostle to and enlightener of Georgia. Americans have their local Orthodox saints, as well, though quite limited in number. Return next week to see a localized All Saints’ Day icon. On this day after Pentecost, Whit Monday in the West, allow me to post one of the most common and, in my opinion, one of the most beautiful short and simple prayers in Christian praxis. O Heavenly King, the Comforter, the Spirit of truth, who art everywhere present and fillest all things; treasury of good things, and giver of life—come and dwell in us, and cleanse us of every impurity, and save our souls, o good one. Yesterday in the Pentecostal sermon, the priest spoke about the Hebrews’ experience with the presence of God—the שכינה, which was limited to certain times, places, and people. After Pentecost, however, the presence of God ought to dwell in every Christian. Happy Pentecost and Trinity Sunday! The image link and the Greek Archdiocese both have a brief explanation of the feast’s icon. And through them didst draw the world into Thy net. Lover of men, glory to Thee. He called all to unity. And with one accord we glorify the All-Holy Spirit.